A hideaway lake in the mountains above Los Angeles. A woman journalist on the run with a mystery boy, a step ahead of hired Red Mafia killers. A reclusive bachelor in a chalet high above the lake, staring down through binoculars. These are the initial ingredients of a full-throttle, nonstop chase thriller that accelerates from its opening pages to a breathtaking finale. Eight-year-old Andrei "Andy" Morozov possesses a secret that could bring down the new Russian president, a media darling who conceals imperial ambitions. With geopolitical stakes this high, a secret directive is given--the boy must be hunted down and silenced forever. Thus, from the heart-pounding opening sequence, the thrilling helter-skelter race is on. Yet, as we see in vivid flashback, this is only the deadly home stretch of a six-months' pursuit that began explosively in Moscow and has careened across Europe and America to reach its lethal climax amid the neon dazzle of the Russian neighborhoods of West Hollywood. 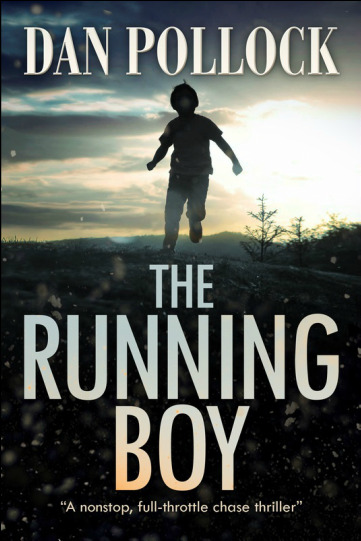 A story of revenge and relentless pursuit, The Running Boy will surprise and delight readers who enjoy thrillers.